Each year, from September to March, pods of dolphins make their way across Hatagiri Bay which is located near the town of Taiji in Wakayama Prefecture in Japan. 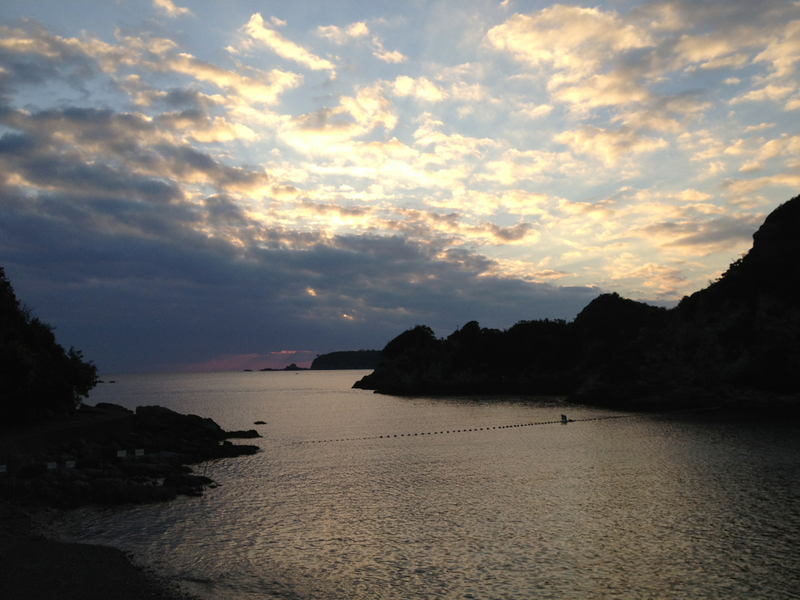 While this is a scenic and even serene area at times, death haunts the infamous Cove which is directly adjacent to Taiji’s whale museum. Every year during the annual government sanctioned dolphin & whale hunt, thousands of dolphins are brutally and inhumanely slaughtered. But not all the dolphins driven into the cove die. 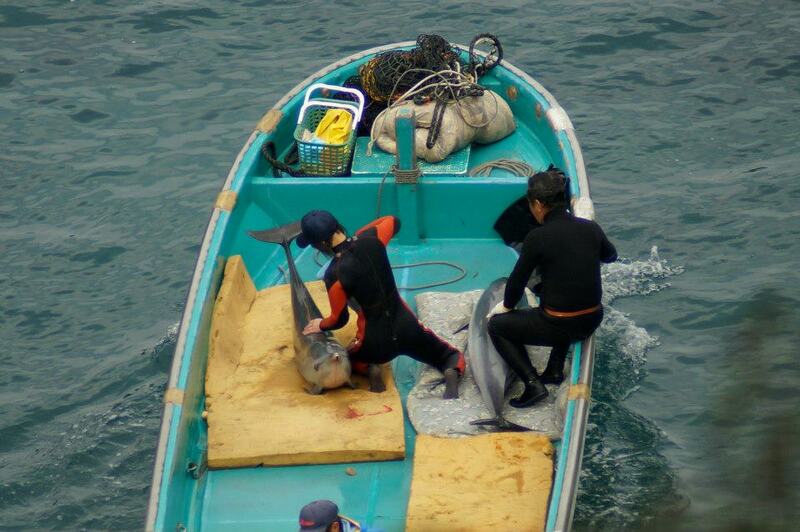 Taiji is “ground zero” for international trade in live dolphins. 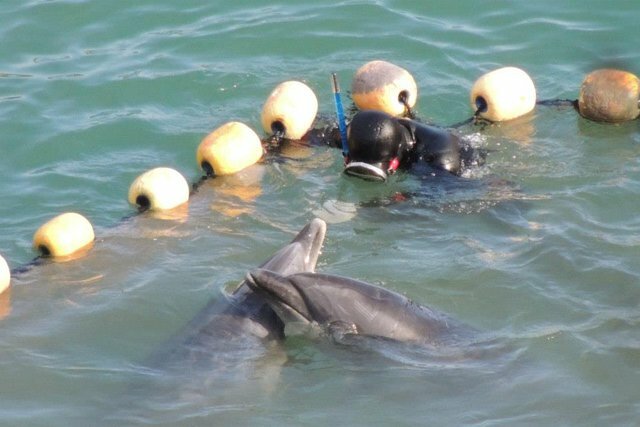 There is big money in the captive dolphin entertainment industry and there is a direct link between the captive dolphin entertainment and the bloody water of the infamous Cove in Taiji. It is the dolphin entertainment industry that drives the hunt and the killing of dolphins unfortunately follows in its wake. 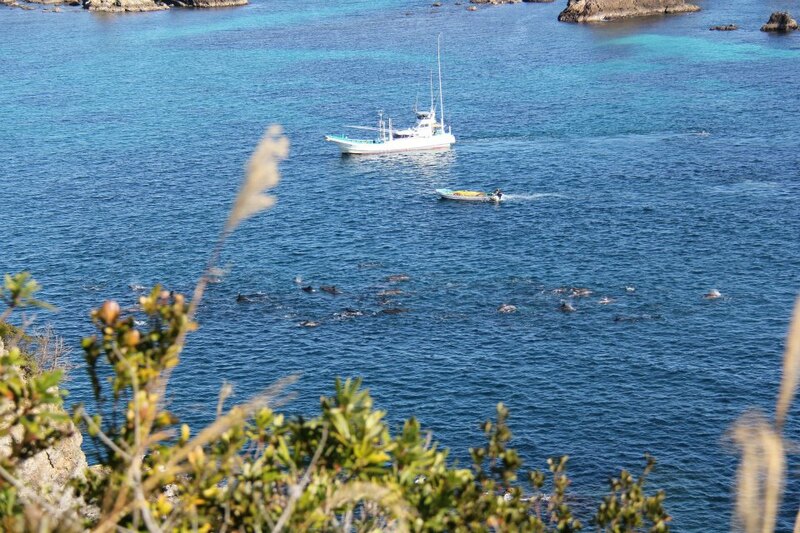 There a dozen small fishing boats or “banger” boats in Taiji which are equipped with metal poles on their sides. 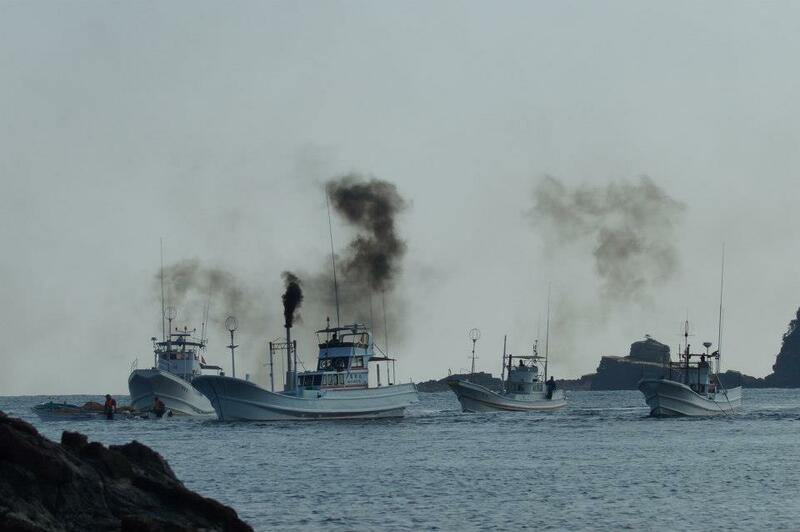 These banger boats go out in the ocean off the coast of Taiji each morning at first light. The banger boats begin by fanning out and patrolling the known dolphin migratory routes looking for dolphins or small whales. 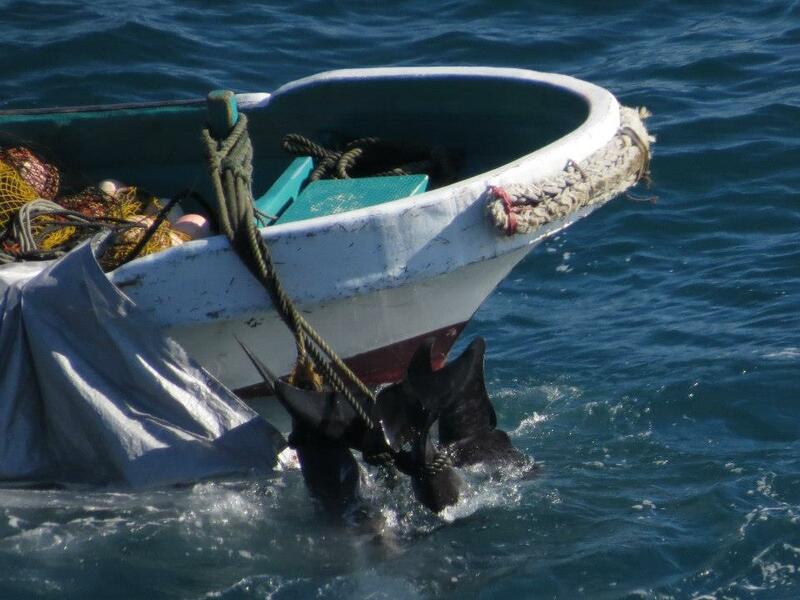 Once a hunting boat finds a pod, it will continue to follow the pod until five or more hunting boats arrive. At this point the banger boats begin to herd the dolphins using their boats by banging with a hammer on a flange on the top of the poles. The banging on these poles creates a wall of sound from which the dolphins swim away. This in itself is the Drive Hunt. 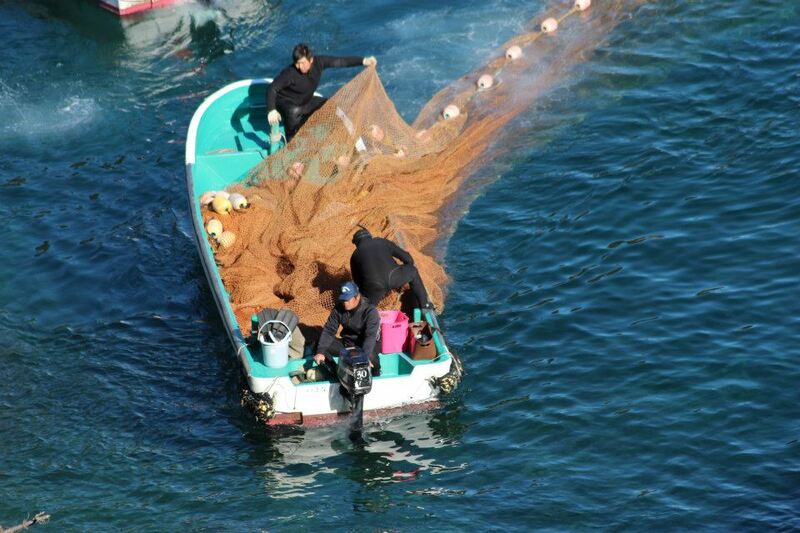 The dolphins are driven past the entrance to Taiji harbour and then into the entrance of the Cove. The rock spurs, islets and shallows create a natural funnel right into the entrance of the Cove. Once the dolphins are past this entrance other dolphin hunters will seal off the entrance with nets. 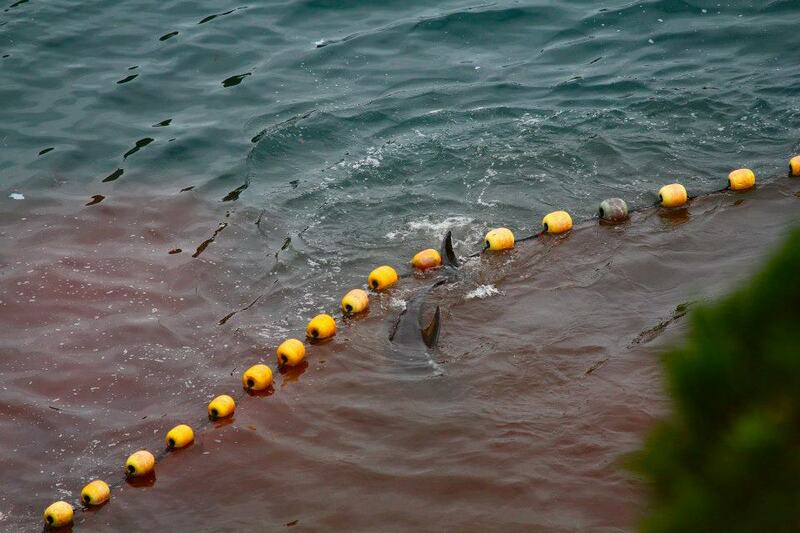 Once netted off in the Cove the dolphins await their fate … death or a life of imprisonment. It is important to know that a pod of dolphins in an entire extended family unit that includes elders, pregnant females, adolescents and babies, which are all driven into the Cove. 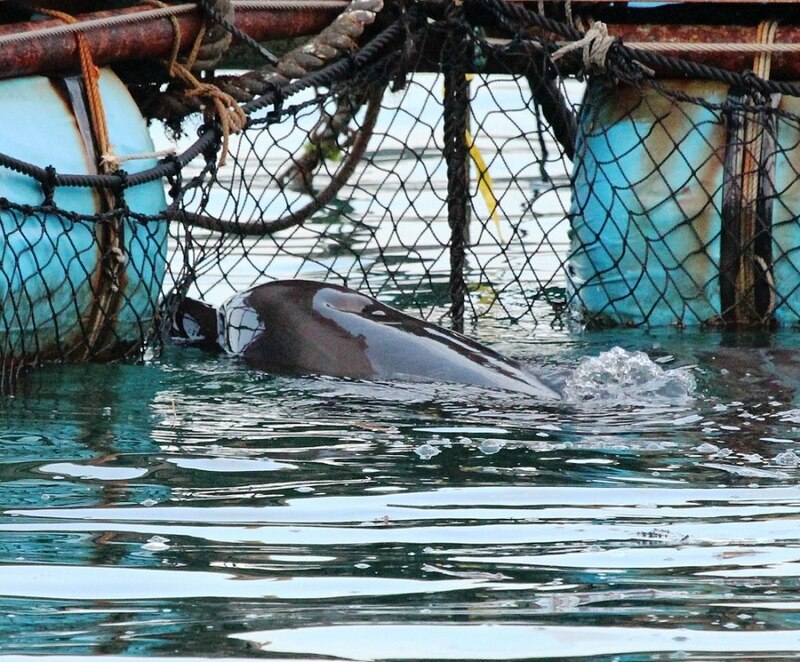 Those dolphins deemed beautiful are chosen for a life of captivity and taken by skiff or sling to the Harbor pens located in Taiji Harbor. 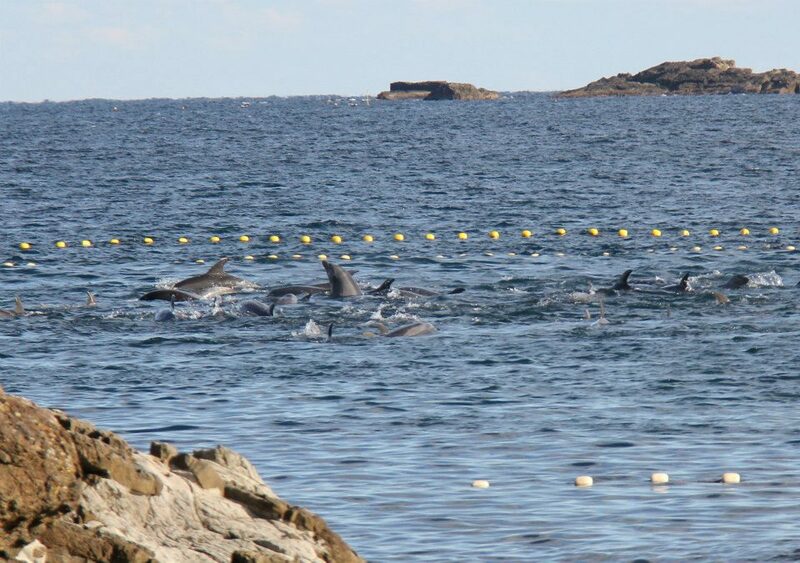 The remaining pod not chosen is herded to the southern part of the Cove which is a narrow and shallow beach and the site of the slaughter.